NBA Social Rankings: Who Won The Week? The Process may take patience, but Joel Embiid doesn't hesitate on social media. We pay tribute to the 76ers rookie's off-the-court shenanigans in this week's NBA Social Rankings. Where do I even start? The Process may have just had the greatest week on social media in NBA history, reigniting his Instagram rivalry with Chandler Parsons, going all-out to score some digits and campaigning hard for the All-Star Game. Let’s start right here with his “I Feel Like JoJo” t-shirt, made by the good folks at Teepublic. He already locked up a spot in the top-10 with this badboy. 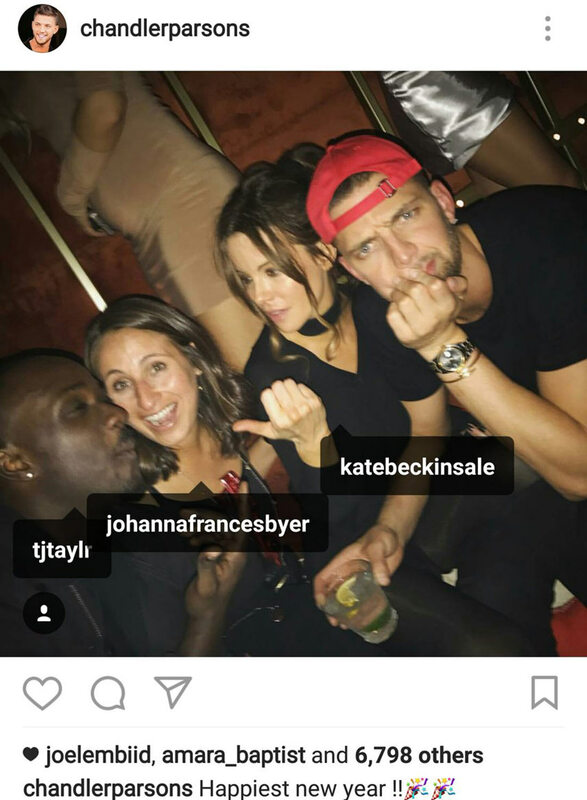 On the topic of New Year’s, he saw Chandler Parsons was hanging with Kate Beckinsale for the holiday and wanted her digits/possibly didn’t know who she was or that she was 43. He then decided to really turn on the jets when it comes to his All-Star campaign, voting for himself (!) and pretending that the President-elect had endorsed him. 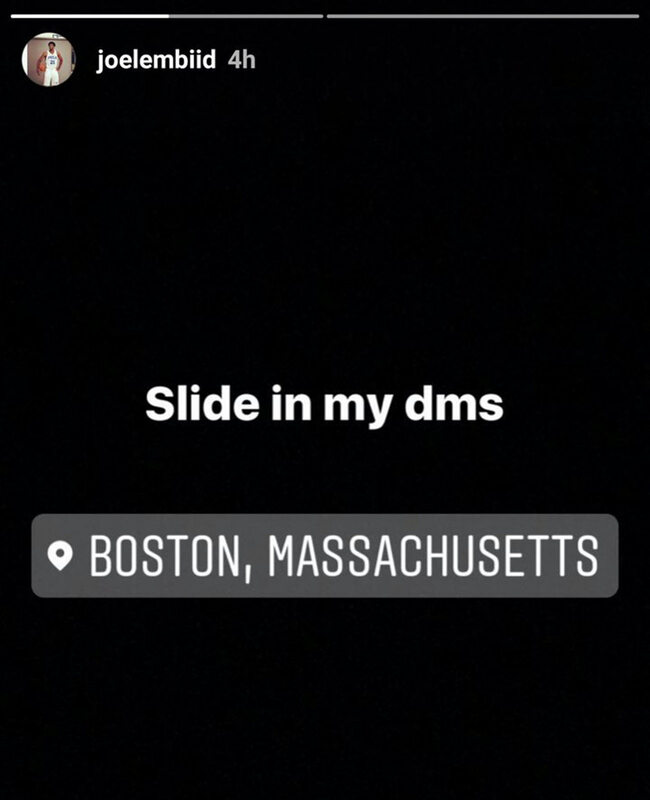 He capped off his week for simply asking for women in Boston to DM him. Remember, a retweet of Jo is a vote for Jo! Smash that button. He deserves it for the week he just had online. 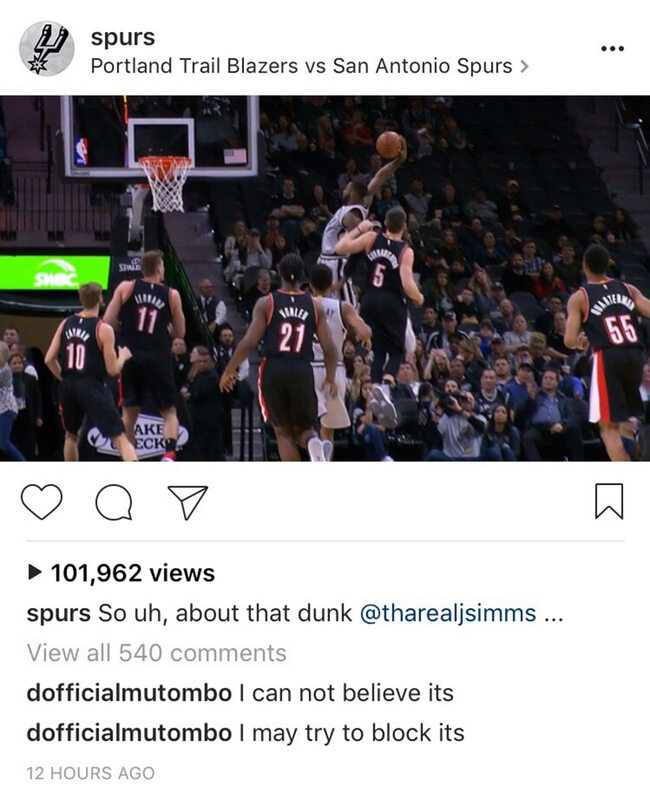 OK, so the dunker from the above photo gets some love here, because he had no idea how great this slam was. Check this out. The Spurs weren’t messing around this week, going straight for Mariah Carey’s throat with this one. Damn, JaVale isn’t holding back. Ready to watch the best bigs in the NBA face off? Gotta get these votes any way you can! Like the Spurs, they decided to capitalize on a current event to try for some All-Star votes. They took the re-arranged ‘HOLLYWOOD’ sign and arranged it another way. No, it wasn’t because Lee Jenkins wrote a great feature on him, or because he hit a game-winning shot. It was because he blocked Russell Westbrook so hard that it shamed this kid into covering up his Russ gamer.